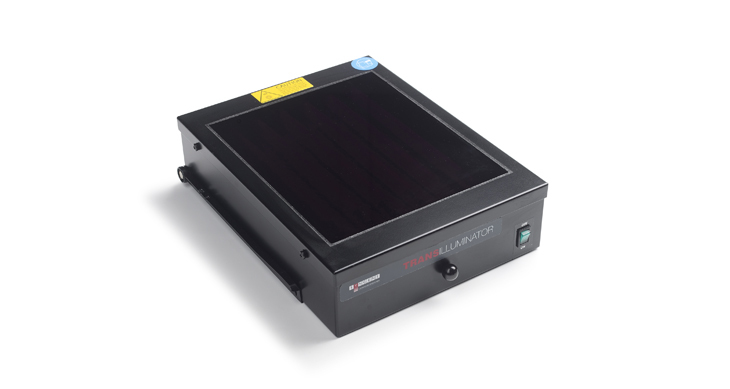 The Standard Transilluminator offers the researcher a uniform and intense source of ultraviolet light (radiation) in a compact package. The special design emits high intensity excitation UV wavelength for back-illumination of transparent fluorescent materials. The mediumwave 302nm UV back-illumination provides a highly sensitive method to detect double-stranded nucleic acids that have been labeled with fluorescent dyes such as ethidium bromide or acridine orange. more sensitive for nucleic acid visualization. For use with DigiGenius or Stand-Alone on Benchtop.